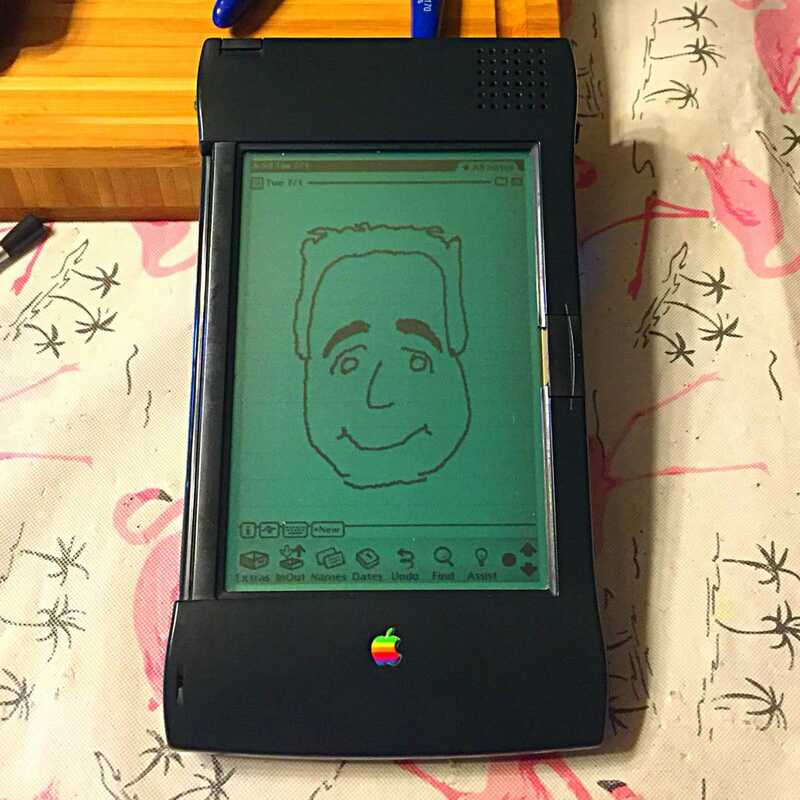 I played with the Newton when it was first introduced. I was a PC guy back in the early 90’s. I never bought one until this year. I picked up a 2000 from an online sale. The young man said it belonged to his grandfather. I thought twice about buying it. The rubberized surface had chemically changed and as a result, it was sticky, looked grey, dirty and full of fingernail scratches. I regretted spending $25 USD on it while I drove away. It came with a keyboard, dongle and case and worked. That was motivation to restore it. Over the course of a week, I used Colorox Disinfectant Wipes and went to work like a tattoo artist. Worked in small areas with lots of light and wiped often. Soon I had wiped through the rubberized coating to a beautifully smooth green surface. It took roughly 6 hours, but it was transformed. Prior to this, didn’t know a 120 from a 2100. I became a vintage Apple collector/user after reading the book, ‘Cult of Mac’. I switched from PC in 2012. I have 42 Macintosh computers in a growing collection. I read Defying Gravity recently and bought Love Notes to Newton. I’m on the hunt for an eMate 300. In the end, my entire computing life can be summed up as this, “It’s not obsolete until I say it is”. My 2000 still works 20 years after it was made. It’s not obsolete to me. It has a distinct part of the ARM processing history. It’s beautiful and it’s mine.